dBASE™ PLUS 12 solves these issues! ​Building a custom Application is hard, right? Not with dBASE™ PLUS 12! 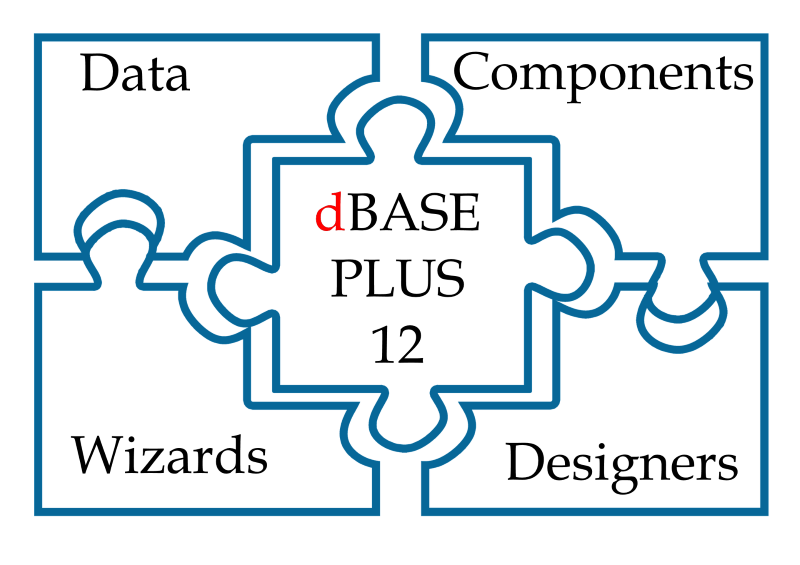 ​Extraordinary things can be built with Data, Business Logic, Graphical User Interface, and ​Components. ​Can I still write code? 100's of additional features to make coding simple and even fun! 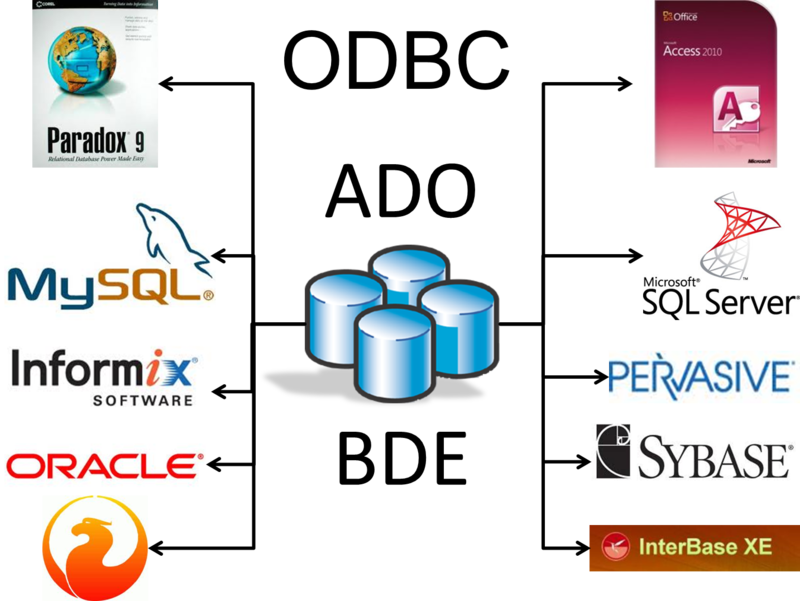 ​So, why dBASE™ PLUS 12? 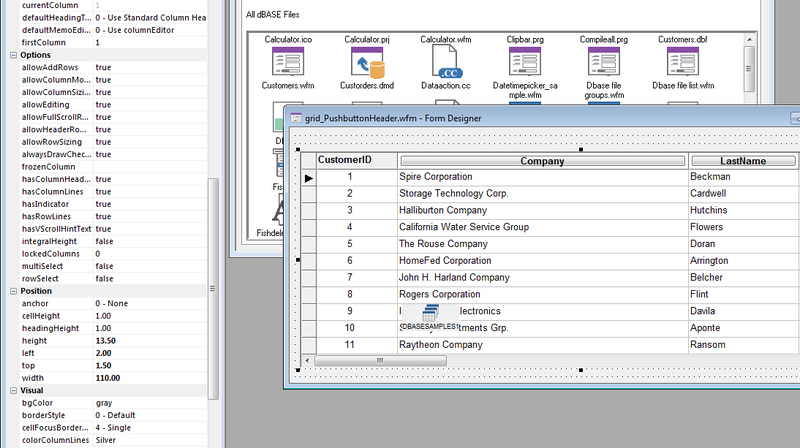 ​From beginning to end, dBASE™ PLUS 12 has you covered! Full application development with NO code, customize with a ​LOW amount of code. 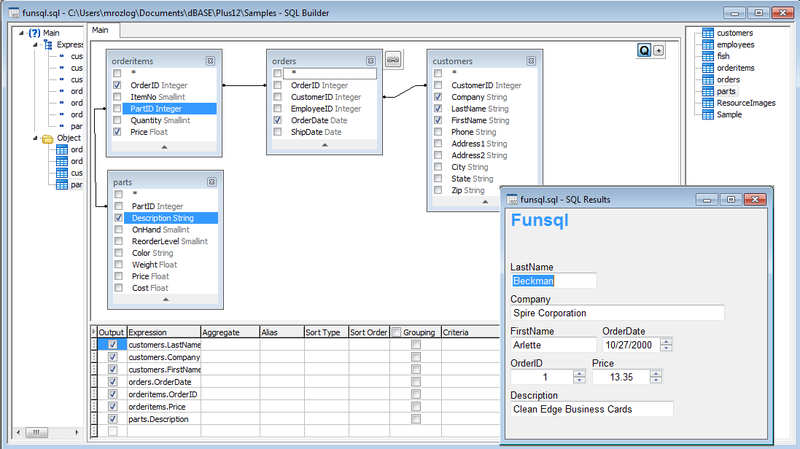 Develop the business solution you need to success with dBASE™ PLUS 12. dBASE™ PLUS 12 introduces new Components, new Data Structures (JSON), integrated Report Generator, and updated output targets. In addition, dBASE™ PLUS 12 gives you a complete deployment solution as well built-in, which is a HUGE value compared to the competition! 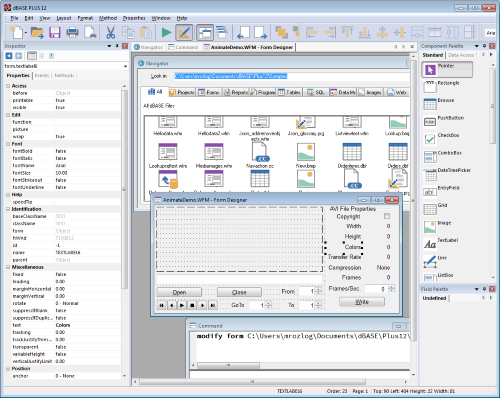 dBASE™ PLUS 12 has all the tools a business person could want for implementing situational applications, but has the power to be a serious professional data-driven application development environment. ​Get all the new features and functionality for a great price! Buy the new dBASE™ PLUS 12 for $499.00 (USD). Already own dBASE? You can upgrade for a very special price! Buy the new dBASE™ PLUS 12 Upgrade for $399.00 (USD). Business people and non-programmers can succeed with very low / no code to create a solution. However, if you need the full power, dBASE™ PLUS 12 can go as deep into the development process as needed. 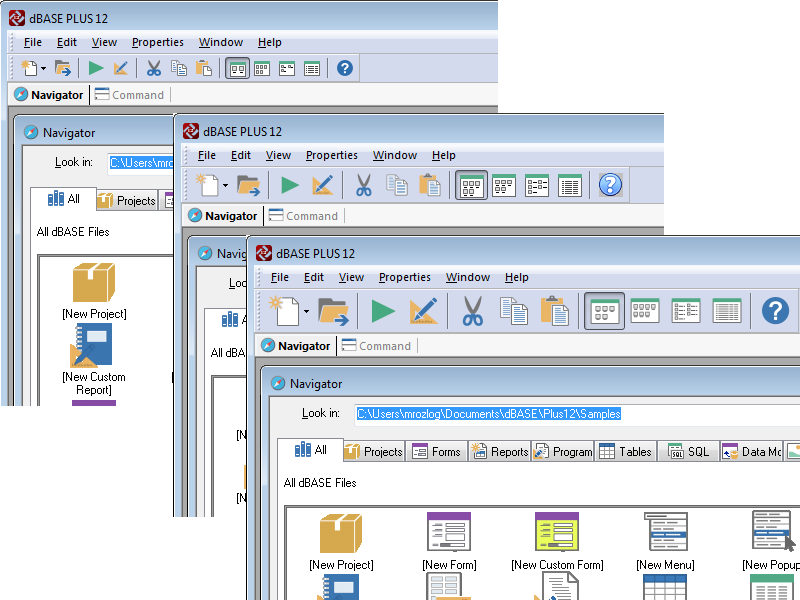 You need dBASE™ PLUS 12! ​Understand, dBASE™ has been building data-driven applications for almost 40 years! 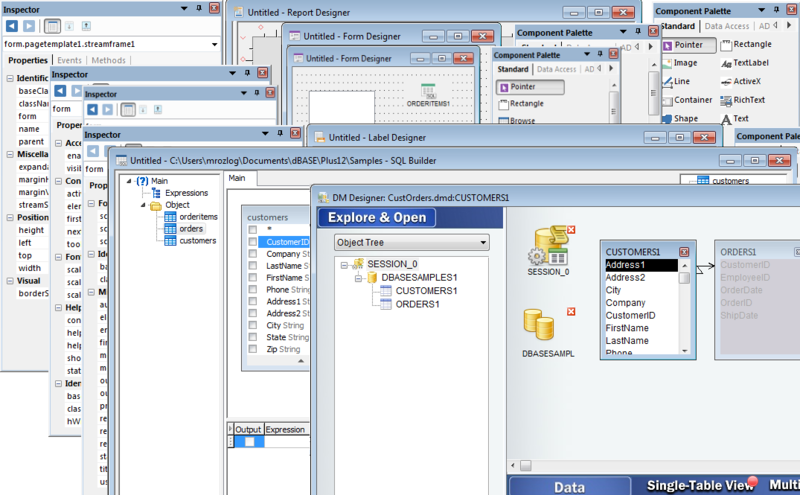 ​Discover, dBASE™ PLUS 12 allows for current applications to work on ​multiple devices. 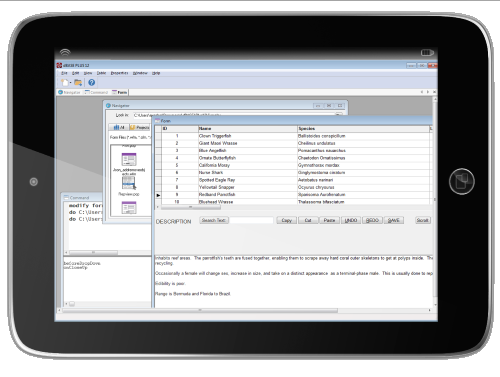 dBASE™ PLUS 12 allows for Tablet interactions as well as Desktop and even server applications. 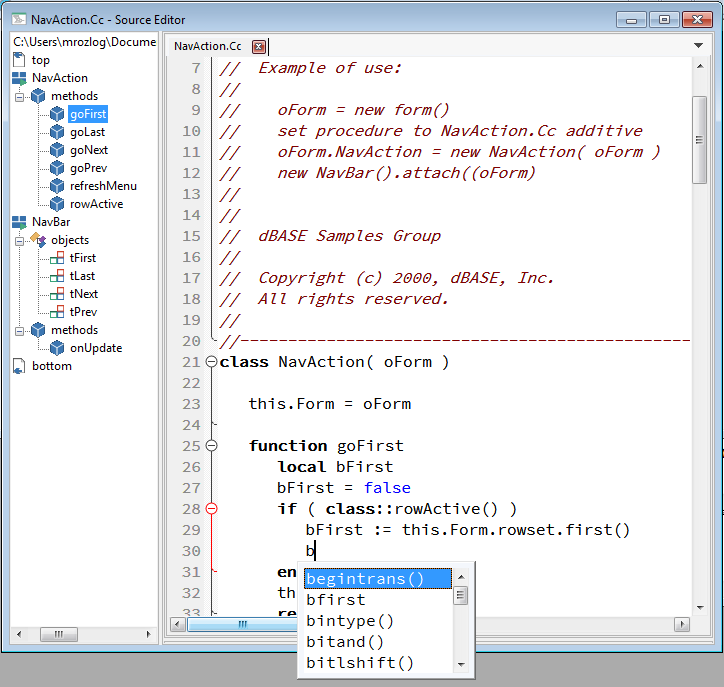 ​Exploit, dBASE™ ​allows you to build Desktop, Tablet, and web applications with one simple language. 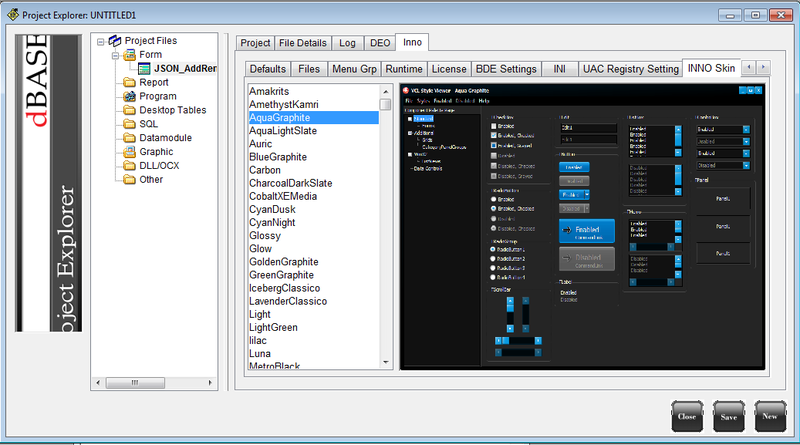 ​dBASE™ PLUS 12 has fully completed the new look and feel for the product. ​Did you know, that a modern look and feel can increase productivity by 50% on average. ​The updated source tree view now includes new component graphics, updated functions, events, and methods making readability the key factor to help productivity. 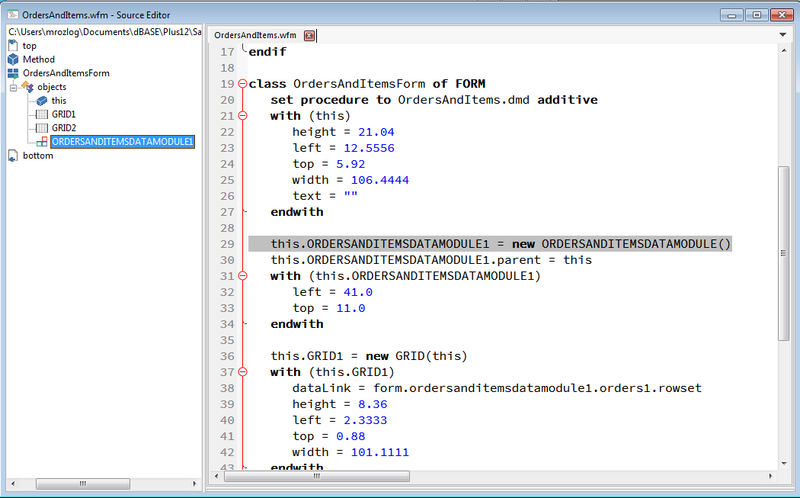 ​There are studies that state using an advanced source code editor can increase productivity. 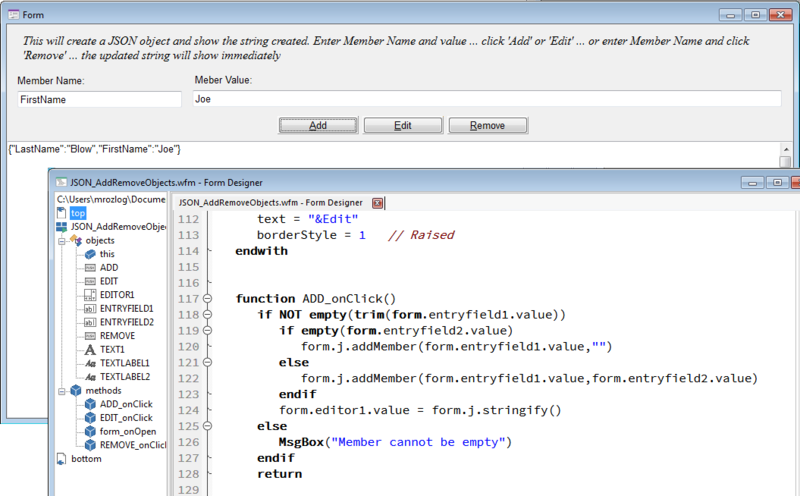 The ability to have Code Folding capabilities allows the product to work as the user expects. 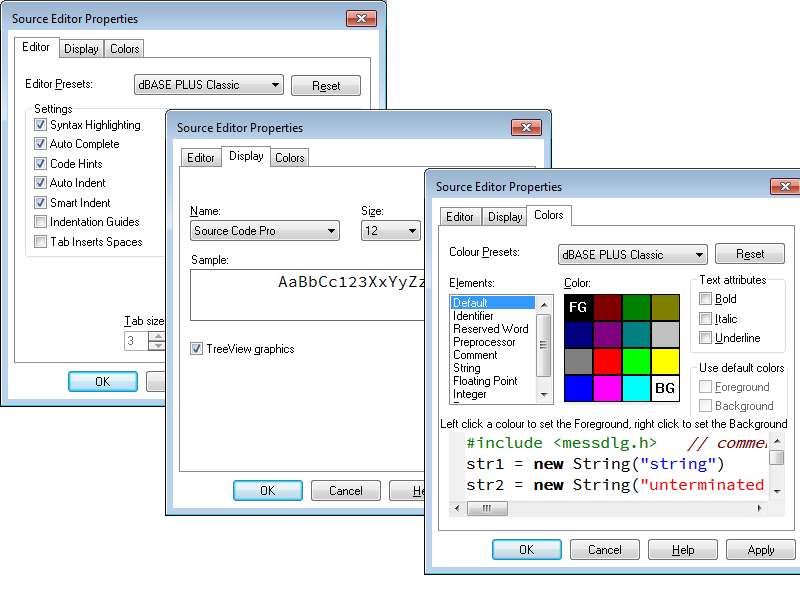 ​​Source code editors allow you to set various features about how the editor will behave, while additionally font selection and color combination show the most gains in relieving eye strain. 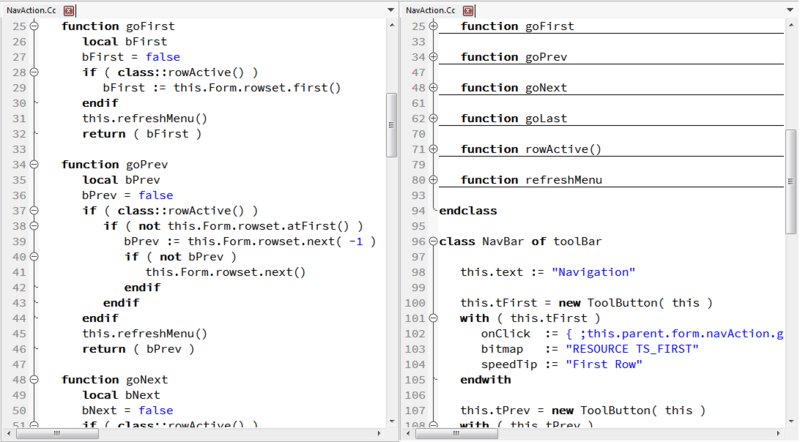 ​Just place your mouse over a command, expression, assignment and Code Hints will be presented. 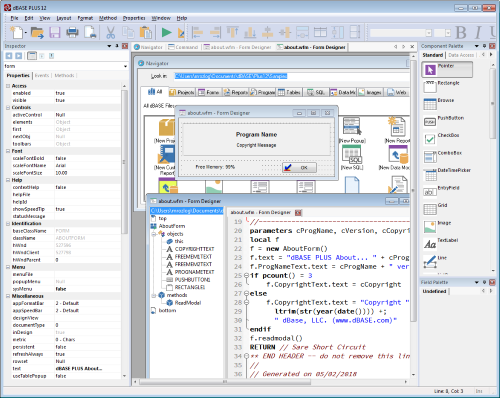 ​The #1 productivity enhancer feature found in most of the modern IDE's and dBASE is no exception. 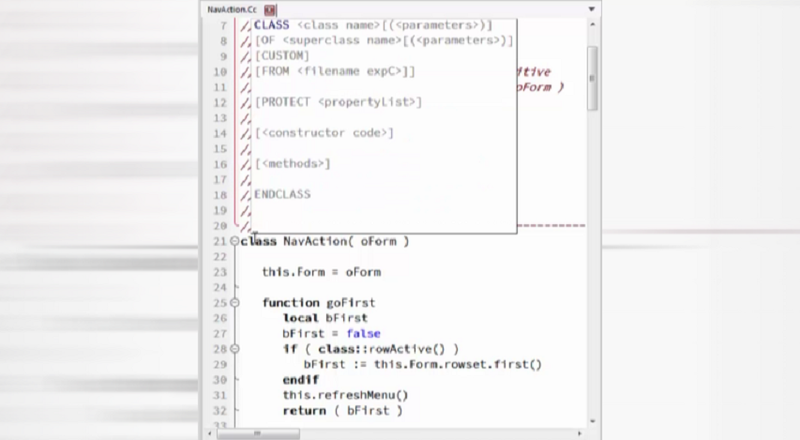 ​dComplete allows you to code much faster, especially if you have issues remembering special syntax. ​Formatted text, styled text, or rich text, as opposed to plain text, has styling information beyond the minimum of semantic elements: colors, styles (boldface, italic), sizes, and special features in HTML(such as hyperlinks). 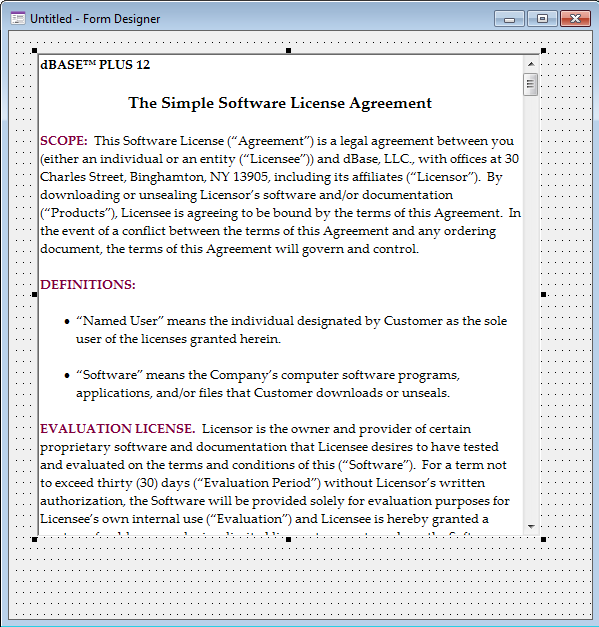 ​dBASE™ PLUS 12 - Introducing the new Rich Text Edit with Print ability. ​Formatted text, styled text, or rich text, as opposed to plain text, has styling information beyond the minimum of semantic elements: colors, styles (boldface, italic), sizes, and special features in HTML (such as hyperlinks) but with the ability to print. ​dBASE™ PLUS 12 has ​updated the grid component. ​The existing Grid component has had a major update to allow columns to act as buttons and much, much more. ​dBASE™ PLUS 12 ​Introduces the new DateTime Picker Component. 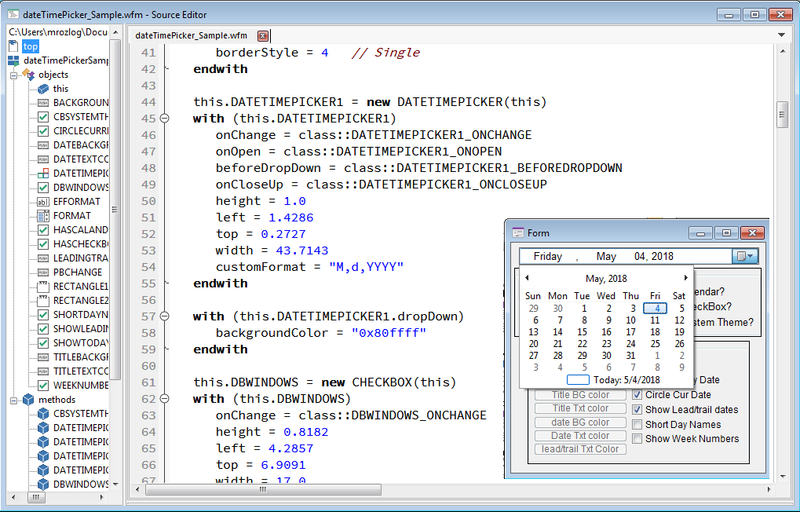 ​Pick a Date or Pick a Time or Pick a Date and Time. Heck, you can even show ranges of months, the new DateTimePicker will give new options for interacting with this tricky data type. 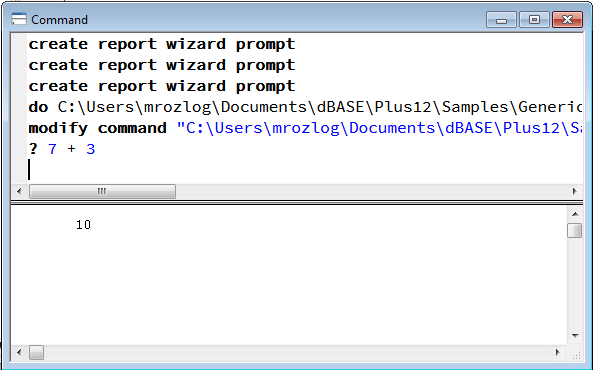 ​dBASE™ PLUS 12 has ​updated the web wizards target. ​Create C.R.U.D. 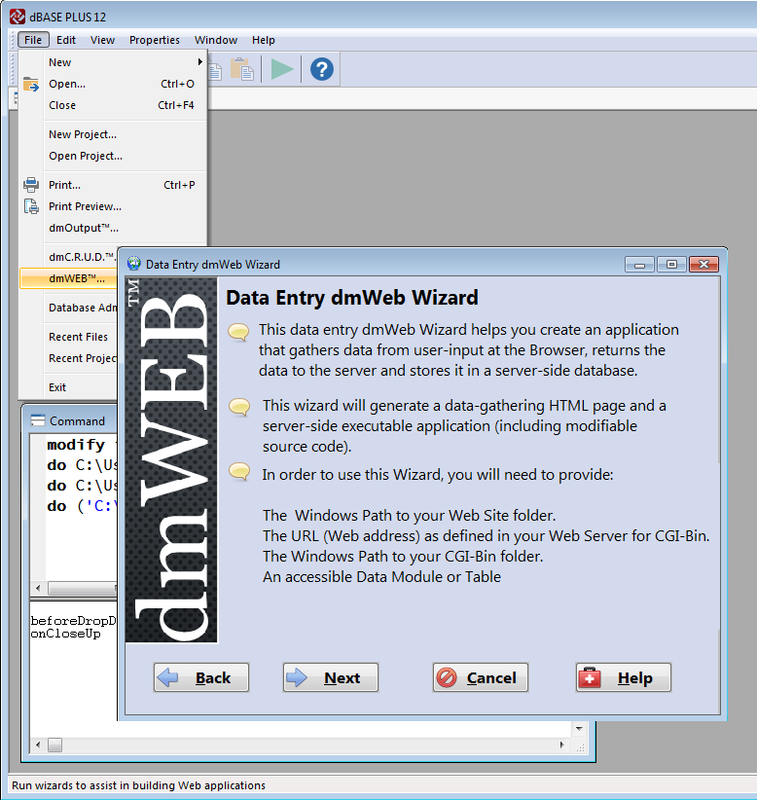 web applications using the same source code as you would for dBASE applications. Now with JSON support. 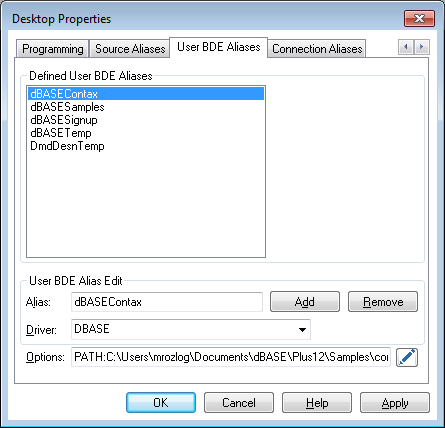 ​dBASE™ PLUS 12 has ​full BDE integration. 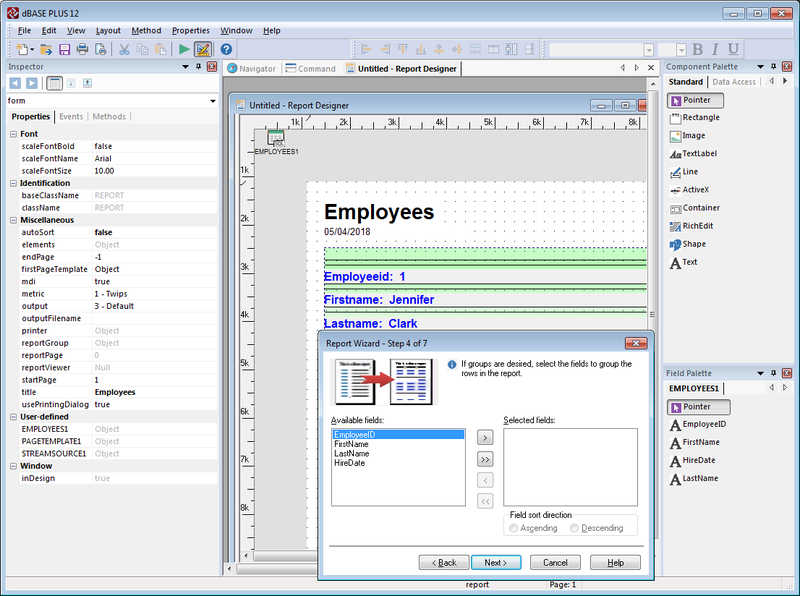 ​This is native ADO support fully integrated into the dBASE environment. 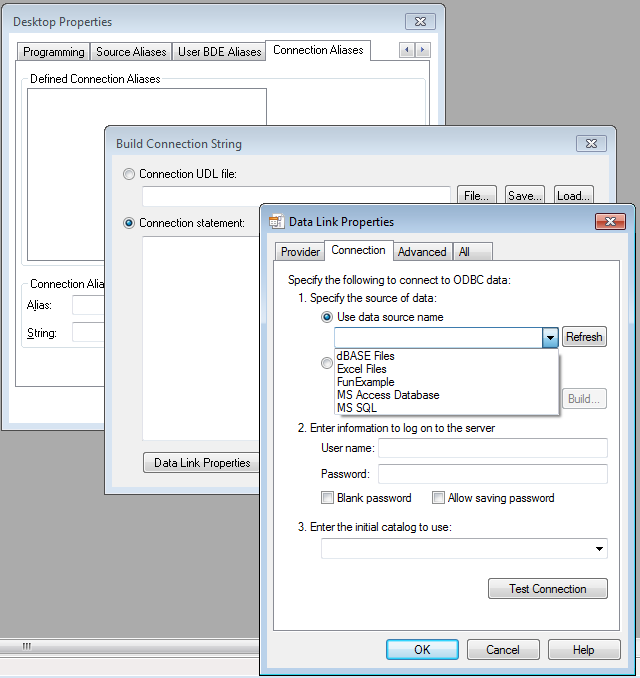 ADO can be run without any BDE references and supports ODBC as well. ODBC support is setup through either the BDE or with the ADO approach. ​This area of the product touches everything and has been continually updated. 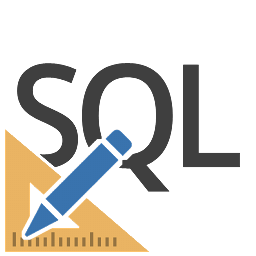 The SQL Builder works across database regardless of the connection technology used, BDE, ADO, or ODBC. 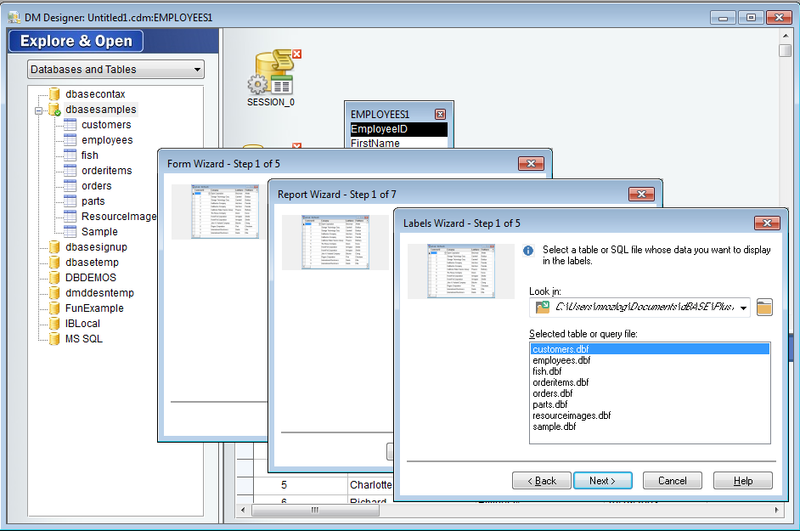 ​Generate reports with the custom wizards, designers, and database connections like BDE, ADO, and ODBC. ​This is a HUGE value to any of our customers that use installation software. We have updated the installer to support multiple modern skins that the installer is generated with during the output phase.